Scientists have long wondered to what exists in the brains of dinosaurs when they roam in the forests of Cretaceous era to stalk and ambush prey, or when incubating their eggs? The paleontologists step closer to guessing the answer by the discoveries of dinosaur's brain fossil. This finding is the first time in the world. As quoted of LiveScience on Friday, October 28, 2016, turned out to have a brain-sized dinosaurs were very small when compared to the very large body. The findings were similar to the findings of a small pebble and discovered by the fossil hunters in Sussex, England, more than a decade ago. 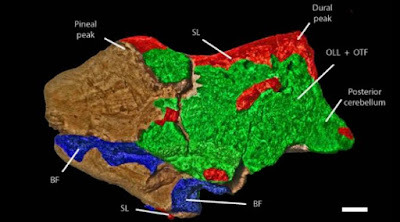 Findings of dinosaur's soft tissue was a rarity because the substance decays more quickly than other types of tissues. In fact, the dinosaurs lived about 66 million years ago. According to the researchers, the soft tissue is essentially acidified (such as pickles) when the dinosaurs died so that its brain is very well preserved. David Norman, a scientist at the University of Cambridge, said through a statement, "We suspect that happened was when the dinosaurs died with its body in or near of water, and the head buried in the sediment at the bottom of the water." "Since water has okisgen and in that time was highly acidic, the soft tissue in the brain is considered preserved and hardened before all the bodies buried in the sediment." By using a scanning electron microscope (SEM), the researchers recognize different structures in the gravel-sized tissues. This microscope type produces the images with outstanding detail through the bursts movement of electrons in an object. In the resulting images, the researchers can see the meninges, the tissues covering the brain, a pinch of collagen and blood vessels, and structures believed to be the cerebral cortex, the outer layer of the brain. 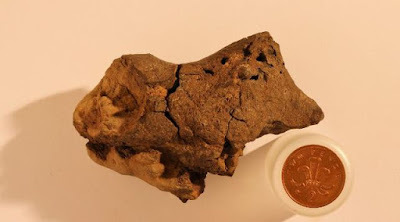 Norman and his colleagues determined that the brain tissue that seem to come from a similar species of Iguanodon, which is a large herbivorous dinosaur that lived during the early Cretaceous era, about 133 million years ago. 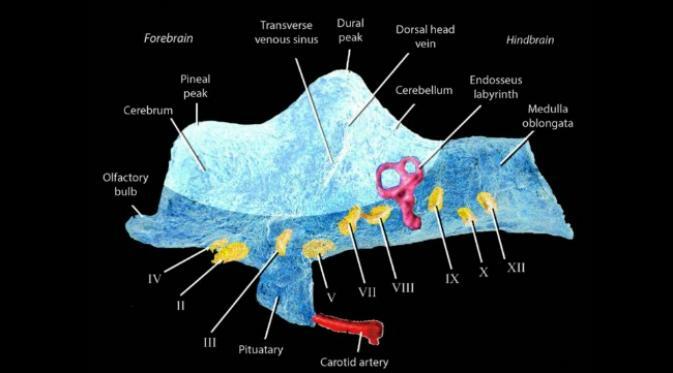 The structure seen in the brain tissues fossil shown similarity with the existing structure in the brains of birds and crocodiles, both are descended from the dinosaurs in the present. Norman as told to the LiveScience, "It's structure is similar to that normally found in reptiles. This finding does not indicate that the dinosaurs were smart enough, for example seen their brains do not fully meet the cavities of the brain." 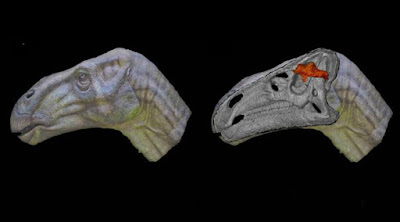 Some dinosaurs thought to have a fairly large brain, for example in some types that the ancestor of modern birds, but, according to Norman, the fossil findings do not indicate such measures. And the researchers warn, we're not to draw the conclusions about the intelligence of dinosaurs is only based on the fossil. They suspect that this dinosaur, and also from their relatives, have fairly complex behavior. The researchers wrote that, "It is reasonable to expect that similar Iguanodon dinosaur groups is quite complex behavior (at least as modern crocodiles)."